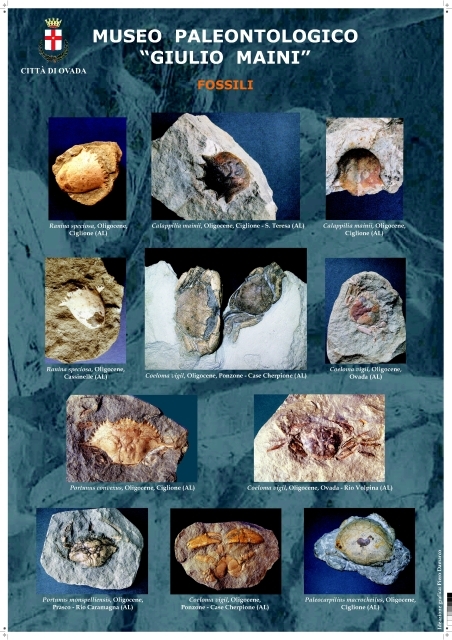 The “Giulio Maini” Paleontological Museum houses a large collection of fossils dating back to different geological ages. Particular attention is given to the prehistoric fauna and flora from the Piedmont and Ligurian sections of the Appennine area, in particular from the prehistoric sea corridor known as Terciary Piedmont Basin. 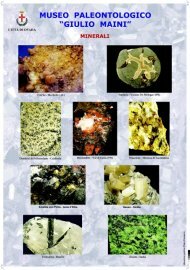 Mineral pieces from all over the world are on permanent display at the museum. They come from both private donations and museum purchases. You can observe the most common metals as they appear before refining, the crystalline shapes of several types of quartz and “desert roses.” The pieces are accompanied by panels which explain their origins, their crystalline structure and their shape, giving information about the rock families and their typical characteristics, origin and transformations. A small section of the museum is dedicated to several specimens of sea shells coming from the seas and oceans of the world. 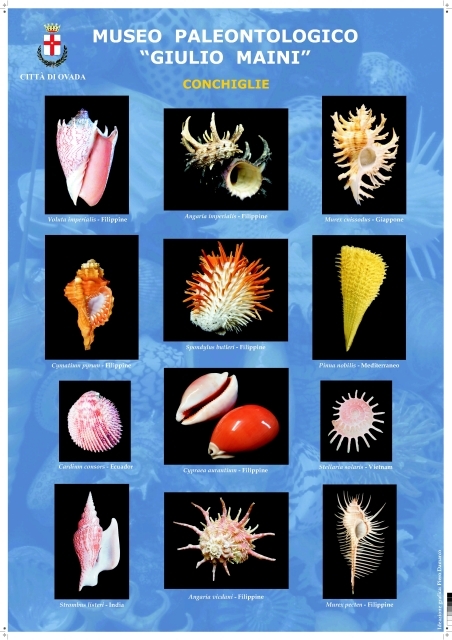 You can admire beautiful, fantastic shapes and elaborate creations which served as shelter for many marine organisms. You will also learn how to recognize their families, and you’ll be astonished by their colours. You can discover how man utilized sea shells for many purposes from the very beginning, fascinated by the matte reflections of mother of pearl and by the sound their shapes made. Prepare to immerse yourself into this dreamy world.